My name is Baixiang Wang, or Jonathan to my international friends and colleagues. I would like to share few thoughs of my summer here in Shanghai. Summer vacation of 2013 may be the last summer vacation for many third grade students in university, but it’s has been a special time for me. As all students, who doesn’t want to have fun on summer vacation? Go to beach, go shopping, sleep until lunch time and do whatever we want to do. My name is Jonathan. I come from Taiwan. I am in third grade of university and I major in Finance. I spent my last summer vacation at Metso in China! 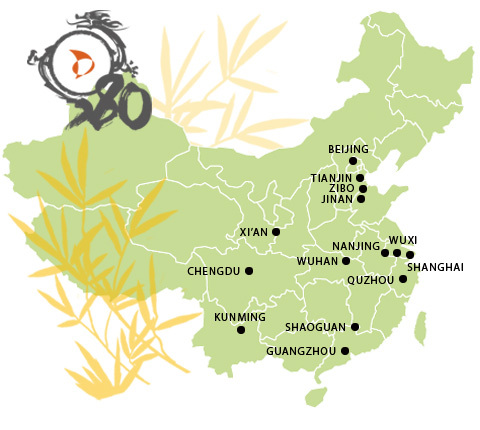 Did you know that Metso has been in China for the past 80 years? This summer I come to Metso Automation Shanghai for summer trainee. The environment here is very clean and comfortable; I think here is a desire working place for me. Although I came for summer trainee, I treat this as my first job. I was very nervous and excited, eager for learning new things that won’t be taught from professors, I learn in PAS marketing, and I think I had a wonderful experience. The most interesting is I learned how to use Avenue and Notes. Notes is the software which has e-mail function that use for Metso people everywhere. Aveneue is the intranet of Metso. Avenue allows Metso people in different places realize what happened to Metso, and you can find information that you need. I don’t even know there may be these things in a company. Besides, my manager and colleagues treated me very well, they are nice and kind, I really like them. In here, I not only learn new things, also realized some concept. Like I can’t realize why I have to go to college and keep studying things, I think go to work first can get more things which teacher can’t tell us, and do is more meaningful than keep listening, writing and full of test. But someone here told me that I have to learn things in school first to ensure I can fit what my manager’s needs instead of they keep teaching me basic skill and knowledge, and that may be important if I want to be employed. This gave me lots of motivation to do better before I graduate. On the weekends I visited some places in Shanghai. The most interest and impressive are the buildings on the two sides on HuangPu River. One side is full of modern building that we may see in many places, like shopping mall and office building, the symbol of prosperity. On the other is old style which can tell the atmosphere in 19 century of Shanghai, different style due to it’s a strategic point and occupation of countries, the reflection of history. This kind of combination makes HuangPu River looks like the compass of present and past, this makes Shanghai a unique and fascinating city. If you come to China you must visit Shanghai. Some of my friends in university eager for finding a good job and have a life just like an office worker, instead of being a student. In here, I realized that working is not what most of us thought and making money isn’t easy at all, also holidays are the best present. However, it is a really great experience to get along with people in different places. My supervisor even invited me to have dinner with her family, they let me feel I am not alone here, cause they told me “If you missed your home, then come to us’’. In the future, I will feel glad that I did something meaningful in my last summer vacation when I recall this memory.